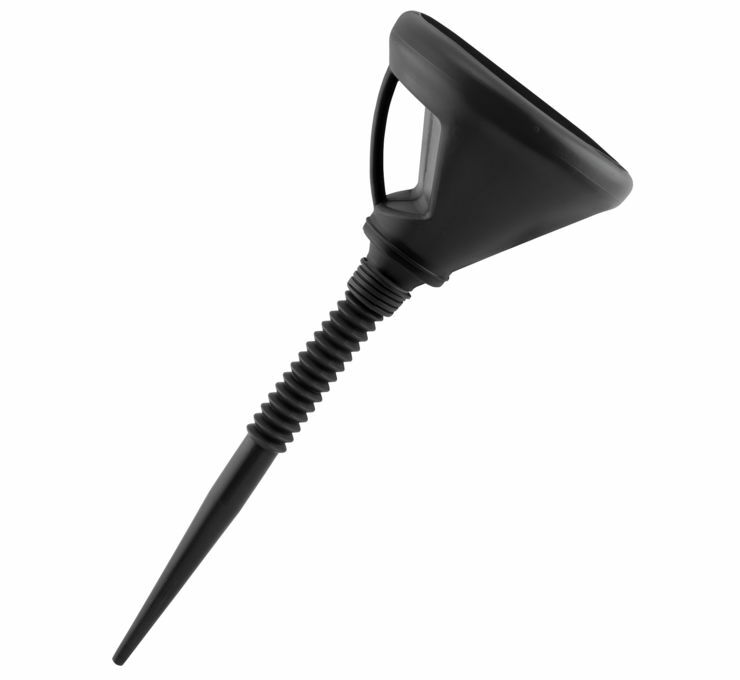 Don't lose another drop of fluid with the Flexible Spout Funnel. This "Big Mouth" large capacity funnel with built-in debris screen has a flexible spout that lets you pour fluids in tight spots; for example, in between fairings. Made from chemical-resistant plastic, it has a built-in handle that gives you a firm grip even when slick lubricants are present.